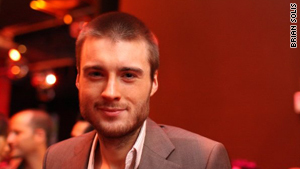 Mashable's Pete Cashmore says Google Instant feeds our ever-growing need for a faster, real-time Web. (CNN) -- Google this week released its Instant Search feature, which displays live search results as soon as you begin typing. By providing results before a query is complete and removing the need to hit the "enter" key, Google claims users will save two to five seconds per search. Are we too impatient to wait a matter of seconds for our search results? What's feeding our new-found need for speed? And why does Google feel the need to answer our questions before we've even asked them? The flow of information around the Web has accelerated rapidly over recent years. The most obvious cause is that our Web connections have become significantly faster over time. This isn't merely a result of greater broadband penetration, but also the near-ubiquity of 3G networks. Not only have we become accustomed to fast connections in our homes, but we've become conditioned to a similar experience on the go. To Web users, however, this trend has been most evident in the "real-time Web" movement. Services like Twitter and Facebook now deliver messages from our friends in seconds. And while most breaking news stories were previously sourced from mainstream media outlets -- taking hours to propagate via blog posts and emailed links -- significant news events can now spread through Twitter in a matter of minutes. Often, stories also enter the news cycle via on-the-ground reports posted to social networks. This significantly accelerates the news-gathering process and the speed at which important information reaches consumers. In short, these quick status updates between friends have conditioned us to expect immediate access to information -- whether that's breaking news or simply knowing what our friends are up to. Why should we expect anything less from search engines? Social networking services have fostered another change in consumer behavior; one that puts Google at a real disadvantage. As a greater volume of timely, relevant information is delivered to us via status updates from friends, we spend less time searching. What's more, many social sites now use our social connections to recommend content to us without the need to seek it out. This so-called "discovery" trend, of which iTunes Ping is the most recent example, threatens to usurp the search box. If relevant information is delivered to us without extra effort, why type words into a box? Google Instant Search is tackling the discovery problem, too: With every letter you type, Google serves up suggestions of what you may be looking for. Search for "tech company," and Google provides suggestions for "tech company news," "tech company valuation," and "tech company names." What's more, this feature enables truly personalized discovery by taking into account your search history, location and other factors -- Google is essentially emulating social networks by trying to predict what we're looking for without the need to submit a fully-formed search. Next up: Google Predictive Search? Google is unlikely to rest on its laurels now that Instant Search has been released. The only way the company can truly compete with social discovery is by going one step further. What if instead of guessing your intent while you search, Google could predict your needs before you search? That's likely the next evolution of Google search, according to statements from Google CEO Eric Schmidt. "The next step of search is doing this automatically. When I walk down the street, I want my smartphone to be doing searches constantly: 'Did you know ... ?' 'Did you know ... ?' 'Did you know ... ?' 'Did you know ... ?' " Schmidt said at the IFA consumer electronics event in Berlin, Germany, this week. "This notion of autonomous search -- to tell me things I didn't know but am probably interested in -- is the next great stage, in my view, of search."